Many designers are looking to experience the 3D printing technology and use it to turn their ideas into a rapid prototype or even a potential new product for the market. However, the professional 3D printers are very expensive and requires a space to installed it in workplace or office. Number of companies tried to overcome this barrier and build affordable 3D printers that are small in size that designers can buy with their limited budget. Furthermore, some companies allows designers to buy the 3D printer and assembly it in their office or home trying to reduce some of the shipping costs. Other companies provide a full manual for how they build their printers to allow designers to print their own, which is known as open-source 3D printers. The affordable 3D printers vary in their sizes, features, and the quality of the printed models. So, you need to go through them and check each model properties such as the printed volume and the size of printed layers. In a previous article What Are the Types of 3D Printing Technologies? we discussed the different types of 3D printers and learnt that most of the 3D printing technologies depend on printing the models using fine layers of filament. 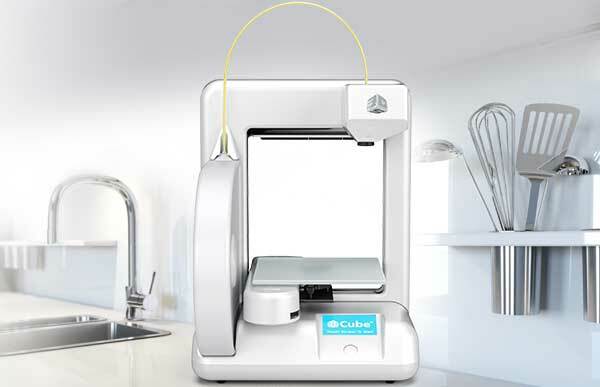 Here are five examples of affordable 3D printers that you buy and use without worrying about the price or the office space. The links direct to more models and versions of each printer with different features and capabilities. 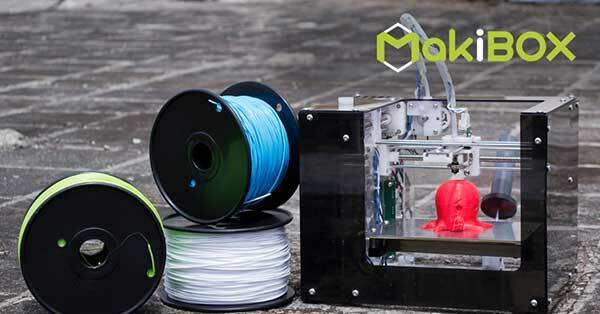 MakiBox is a small affordable 3D printer that you can place on your desktop. The printer’s price that comes in two models ranges between $200- $300. The disadvantage of this printer is the printed size as the maximum size of the printed model is 150mm wide x 110mm depth x 90mm height. This makes it more suitable for demos and small rapid prototyping examples. 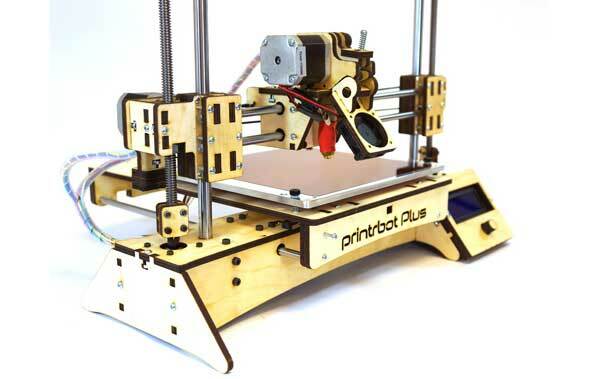 Printrbot is another affordable 3D printer that you can buy and assembly by yourself. There are multiple versions of this 3D printer with different prices ranges. The printed volume of Printrbot is larger than the Makibox as it allows printing models up to 8 inch x 8 inch x 8 inch. 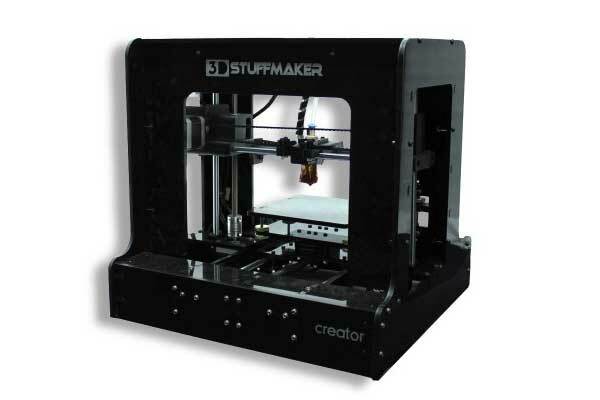 The 3D StuffMaker provides number of 3D printers that its price range between $705 to $1,595 based on the quality, the printed size and wall thickness range. It can take space up to 480mm x 480mm x 500mm and comes with software compatible with Windows, Mac, and Linux. 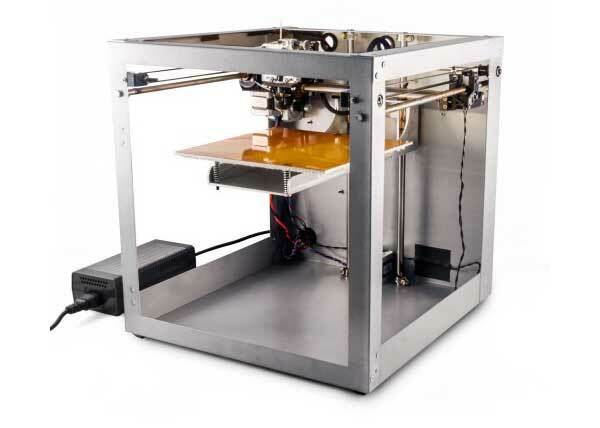 The Solidoodle comes in two 3D printer models with different printing volume. the 2nd generation version allows your to print models up to 6” x 6” x 6”, while the 3rd generation has a larger printed volume of 8” x 8” x 8”. Cubify is the last choice in our list today and it goes little bit over the $1000. But quality and the features promote it to the next level of professional 3D printers. you can use it to print with a range of pastel colors and supports printing over WiFi.